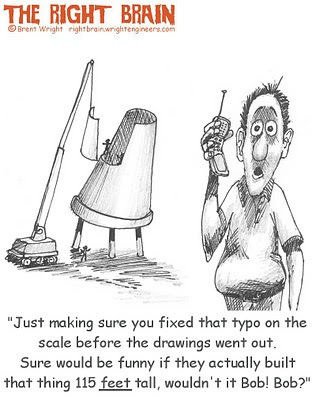 The Right Brain: Fix That Typo? 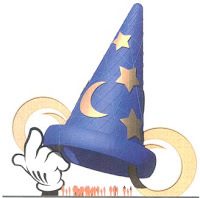 This cartoon in our June 2001 Wright Stuff accompanied an article on a giant Mickey Mouse sorcerer's hat we had engineered as part of the Walt Disney World - MGM Studio Theme Park entrance icon. The hat really is 115 feet tall. Wright Engineers won an award from the Structural Engineers National Association for our work on the project, shown below..